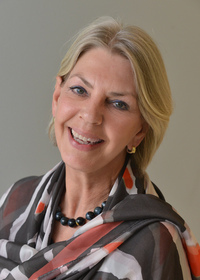 Professor of Diagnostic Radiology and Head of the Department of Diagnostic Radiology, Institution for Clinical Sciences/Lund, Lund University, Lund, as well as senior consultant at the Section of Neuroradiology, Center for Imaging and Physiology, Lund University Hospital, Lund, Sweden, Prof. Pia Sundgren has extensive experience in clinical adult and paediatric neuroradiology. She is the newly appointed Vice-Director for the Lund BioImaging Center (LBIC), Lund University. She is also the Chair of the Subspeciality Committee of Paediatric Neuroradiology and has held this position for the past five years (Sept. 2014 - Sept. 2018). During this time, she worked hard to improve the visibility of pediatric neuroradiology in Europe and to continue the improvement in pediatric neuroradiology education, as being one of the Course Directors for the European Course on Pediatric Neuroradiology (ECPNR). She has worked closely with other international societies such as the ESR, ESPR, and has established a collateral agreement with ASPNR to have joint sessions at the ESNR Annual Meeting. She aims to work for further improvement of ESNR's courses, broader recognition of the EDiNR as well as other Diplomas in our European countries. This includes, increased collaboration with other societies, and increasing the engagement of our young members. Congratulations to Prof. Sundgren and wishing her a successful years ahead!